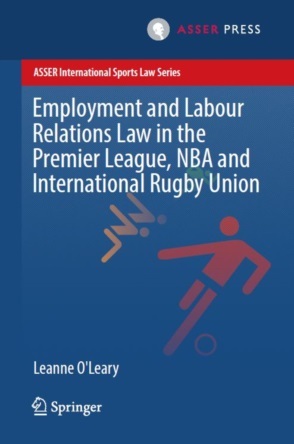 This long-awaited ruling was hailed, on the one hand, by clubs as a much needed and eagerly anticipated confirmation of a long-standing practice in Belgian football and, on the other hand, criticised by FIFPro, the international player’s trade union, in a scathing press release. Jason Eyenga-Lokilo (“Jason Lokilo”), born on 17 September 1998, joined the youth academy at Belgian top club, RSC Anderlecht (“Anderlecht”), in the spring of 2007. Anderlecht had set up a specific youth academy a couple of months earlier, which combined school education and football training for young football players. As Jason Lokilo was one of the youth academy’s more promising prospects, Anderlecht and Lokilo’s parents entered into an agreement in which the parents, in exchange for a payment of 75,000 EUR (paid in instalments), guaranteed Anderlecht that their son was going to sign his first professional contract with the club upon turning 16, i.e. the minimum age in Belgium for signing a player contract. This same agreement stipulated that the parents were liable to pay Anderlecht a lump sum of 450,000 EUR in damages, if their son did not sign such a player contract. When, in 2013, Aston Villa made a request to Anderlecht to give Jason Lokilo a trial when he was 15 years of age, Anderlecht refused, citing the player’s training obligations and the existing surety undertaking. Jason Lokilo’s father, a football agent, then told Anderlecht that he wanted to revise the terms of the surety undertaking, given the fact that a number of European football ‘powerhouses’ wanted to sign his son. Anderlecht refused his demand. In June 2014, Jason Lokilo and his parents sent a letter to Anderlecht arguing that the surety undertaking was unlawful and hence null and void. Jason Lokilo alleged that unacceptable coercion had been put on him to sign his first contract with Anderlecht, which the player and his advisers considered was contrary to public policy. Anderlecht replied that it considered the surety undertaking to be perfectly valid since the surety did not prevent the player from signing his first professional contract with another club. By the end of July of 2014, the gridlock between both parties ended with Jason Lokilo leaving Anderlecht and the latter club starting court proceedings against Jason Lokilo’s parents for a damages claim of 450,000 EUR. Jason Lokilo eventually signed a contract with Crystal Palace in the summer of 2015. In its 22 November 2016 judgment, the Brussels Court of First Instance (“CFI”) confirmed the principle of this surety undertaking in the context of professional football. The CFI referred to Article 1120 of the Belgian Civil Code that expressly allows the principle of a surety undertaking. A surety undertaking under Belgian civil law can be defined as an agreement in which one party promises another party regarding what a third party (who is either absent or legally not competent) will do, give or refrain from doing. The third party retains the freedom not to commit himself, since he, as a third party, is not bound by the agreement. However, the contracting party that made the promise will in that case be liable to pay the contractually foreseen damages if this third party eventually does not commit himself. The main question the court had to decide was to determine whether the surety undertaking had a valid object and cause. Jason Lokilo’s parents first argued that the contract was contrary to public policy legislation, considering the contract violated the freedom of association principle enshrined in the Convention on the Rights of the Child (“UNCRC”), the European Convention on Human Rights (“ECHR”) and the European Social Charter (“ESC”). The CFI did not follow this reasoning, simply stating that the surety undertaking did not bind Jason Lokilo and did not prevent him from signing a contract with another club. Lokilo’s parents also invoked an alleged violation of Belgian federal legislation, which prohibits player contracts below the minimum age requirement. This argument was cast aside by the court since at no point in time was a player contract signed below the legal minimum age of 16. Furthermore, Lokilo’s parents argued that the contract breached a (regional) decree guaranteeing an amateur sportsperson the right to leave their club free-of-charge at the end of each sporting season. The CFI repeated that Lokilo was not bound by the surety undertaking and could still freely leave Anderlecht, stating that this outcome was, moreover, exactly what Lokilo did in 2014. An aggravating circumstance for the CFI was the fact that Lokilo’s father had indicated to Anderlecht that Aston Villa in 2013 was willing to cover the 450,000 EUR in damages, as a result of which the CFI considered these damages were ‘clearly not an obstacle for Jason Lokilo to leave Anderlecht’. The argument invoked by Lokilo’s parents under EU law (free movement) was also dismissed by the CFI ‘for lack of a cross-border EU element’. In the end, the CFI granted damages to Anderlecht but limited the amount payable by the parents, on the one hand, based on the grounds that Jason Lokilo’s mother was not an agent (and hence not professionally active in football) and, on the other hand, because 450,000 clearly exceeded the actual damages suffered by Anderlecht. The CFI set the damages ex aequo et bono at 140,000 EUR instead. The Lokilo case echoes the Spanish Baena case, although the latter concerned a slightly different situation and had a clearly different outcome. Where the Spanish Supreme Court in its 5 February 2013 ruling considered a pre-contractual agreement concluded on behalf of a minor football player at odds with the minor’s best interests and therefore contrary to public policy, the CFI adopted a rather strict ‘pacta sunt servanda’ approach. The surety undertaking seems also incompatible with regional decrees guaranteeing amateur sportsmen the right to leave their club free-of-charge at the end of each sporting season. These decrees are considered to have a public policy character by the case law, and disallow any hindrance, financial or otherwise, when moving to another sports club. The fact that the surety undertaking related to a switch from an amateur to a professional contract, did not alter the fact that the player was not free to leave for another amateur club when turning 16 either, since he was forced to sign a professional contract with Anderlecht when turning 16 or see his parents face the prospect of paying hefty compensation. Arguments regarding the fundamental rights of the minor were either not invoked or not upheld by the CFI. The CFI stated that the matter concerned a contract between the parents and the club and not between the player and the club, as a result of which the minor’s fundamental rights were not jeopardised. This argument is frankly unconvincing. The UNCRC is often labeled as ‘soft’ law, with Belgian case law even considering most of its provisions lacking a self-sufficient or self-executing character; yet, the UNCRC remains a treaty with clear moral authority. Moreover, a number of its provisions do have direct effect, especially when read in combination with other international legal sources, such as the ECHR and the EU Charter of Fundamental Rights. The obligation to consider the best interests of the child is expressly incorporated in the EU Charter of Fundamental Rights. Even though the obligation to observe the child’s best interests is not expressly laid down under the ECHR, the ECtHR incorporates this obligation also in its case law. One could further argue that the surety undertaking disproportionally affects the career development and perspectives of a player who is a minor, and so violates that player’s proprietary rights and the right to family life that both the player and the player’s family enjoy. In addition, both the Belgian Constitution and the Belgian Economic Code protect the freedom for each individual to freely choose his or her occupation. This freedom can only be curtailed through or by law. An agreement jeopardising one’s freedom to freely choose one’s occupation, has an unlawful causa and is null and void. The statement made by the CFI that the EU internal market law does not apply due to a lack of cross-border effect is at odds with the fact that Lokilo clearly intended to join a club outside Belgium, within the EEA (as shown by Aston Villa’s interest and his eventual signing with Crystal Palace), a fact that was not contested by Anderlecht. As Anderlecht is a Belgian football ‘powerhouse’, and clearly one of the top clubs in Belgium (if not the top club), a player aiming higher than Anderlecht would necessarily have to look at opportunities abroad. If EU law is deemed to apply, then the guiding principles of the Bernard case must be observed. The CJEU, in its Bernard ruling, recalled that an obstacle to the freedom of movement of workers can be accepted only if it pursues a legitimate aim and is justified by overriding reasons in the public interest. The CJEU clearly accepted recruitment and training of players as a legitimate aim. Even where that is so, that measure’s application still must be such as to ensure the objective’s achievement and not go beyond what is necessary for that purpose. In considering whether a system restricts the freedom of movement, the specific characteristics of sport, and of football in particular, their social and educational function, should be taken into account. One may even take into account the costs of training other players that do not succeed at establishing a professional career (the player factor). This being said, the surety undertaking mechanism in this case seems overly restrictive for the player. Although, again, a surety undertaking binds the parents and not the player, and damages can only be claimed from the parents, the surety undertaking obviously ultimately serves to discourage a player from exercising his or her right of free movement. Moreover, the player already suffers a restriction upon his or her free movement, following the training compensation mechanism in place under FIFA regulations, which is criticisable in its own right. The surety undertaking constitutes an additional burden on the player’s free movement. In Bernard, although the CJEU seemed to accept the principle of training compensation, the CJEU dismissed the French arrangements governing young players (‘joueurs espoirs’) since they did not involve compensation for real training costs incurred, but rather were damages for breach of contractual obligations calculated with reference to the total loss suffered by the club. And taking into account the actual loss suffered by Anderlecht is exactly what the CFI has done. To the extent a surety undertaking goes beyond what is necessary to encourage the recruitment and training of minors (and funds those activities), a violation of the EU internal market law seems given. In conclusion, based on the considerations set out above, it can certainly not be excluded that the ruling will be overturned on appeal. Such an appeal, which would bring the case before the Brussels Court of Appeal, is being considered by the player’s parents, but has not yet been lodged. The problem with the surety undertaking in the Lokilo case predominantly lies with the surety undertaking’s disproportionate character in the specific case at hand. Less restrictive solutions could, in the author’s view, be envisaged, although exploring such alternatives would exceed the scope of this article. Surety undertakings, together with money lending contracts (loan to parents pledging that their child will sign first professional contract, non-reimbursable if child effectively signs contract), are common practice with Belgian top level teams. Jason Lokilo is still a member of the Crystal Palace Academy. Crystal Palace offered Anderlecht compensation for an approximate amount of 45,000 EUR, which Anderlecht refused. Sentencia de 5 de febrero de 2013. STS 229/2013. Tribunal Supremo. Sala de lo Civil. http://www.iurismuga.org/es/bases-de-datos/jurisprudencia/144-jurisprudencia-derecho-espanol/8153-sts-n-de-resolucion-26-2013-de-05-02-2013-sentencia-baena. The case was invoked by the parents before the CFI but considered irrelevant because, according to the CFI, the contract between Baena and Barcelona was entered into by (on behalf of) the minor player. Vred. Ghent 16 September 2013, role n° 130318. The relevant decrees apply to amateur sports, not professional sports. Article 32 and 36 UNCRC. One may argue that, in the end, a child is used to generate money through (later) transfers and sponsorship deals. H. Stalford, Children and the European Union: Rights, Welfare and Accountability, Hart Publishing, , 34. Belgian case law has been reluctant to grant direct effect to the UNCRC: cf. Cass. 11 June 2010, obs. S. Van Drooghenbroeck, Le droit international et européen des droits de l’homme devant le juge national, Larcier, , 196 and following. Handbook on European law relating to the rights of the child, European Union Agency for Fundamental Rights, 75. Article 1 of ECHR First Protocol: “Every natural or legal person is entitled to the peaceful enjoyment of his possessions. No one shall be deprived of his possessions except in the public interest and subject to the conditions provided for by law and by the general principles of international law. (…)”. Cass. 29 September 2008, C.06.443.F, JTT  464. CJEU 16 March 2010, Olympique Lyonnais v Olivier Bernard and Newcastle United. i.e. the ratio of players who need to be trained to produce one professional player. 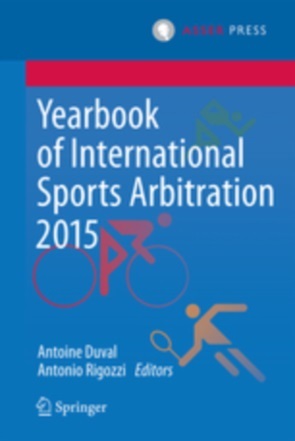 S. Weatherill, European Sports Law, T.M.C. Asser Press , 485 and following. The tax and social security authorities may e.g. argue that these payments relate to the (future) employment contract of the player. The surety undertaking’s ‘nephew’, the money lending contracts, in addition pose problems under Belgian finance law since clubs as a rule do not possess the necessary licences or authorisations.